At the Computex 2016 exhibition opening that is being performed from May, 31 till June, 4 in Taipei ASUS Company presented ultrabook of the next generation and its name is ASUS ZenBook 3. Computex 2016 exhibition opening was a feast and nobody expected anything serious. At first there was just a list of new things to present but having looked through it a lot of people mentioned new device that was produced and made by ASUS Company and understood that it is really one of the greatest and the most groundbreaking competitor between other presented devices of other companies. Sure to be the thinnest and the lightest laptop ever? ZenBook is the thinnest and the lightest laptop ever. To prove this statement we have looked through the features of the laptop that was considered to be the smallest, lightest and thinnest the last time and this laptop is Apple’s Macbook that is 920 grams and whose thickness is in the range from 3.5 millimeters to 13.1 millimeters, while ASUS ZenBook 3 is just 11.9 millimeters thick and its weight is 910 grams. These parameters leave behind Apple’s MacBook criteria. And more than that is the fact that the last MacBook has smaller display (that is 11.8 inches for MacBook and 12.5 inches for ASUS ZenBook 3). Also ASUS ZenBook 3 is even faster than MacBook. Just have a look at the parameters of the Ultrabook and you will understand it by yourself. ASUS ZenBook 3 has 12.5 display with protecting glass Corning Gorilla Glass 4, Intel Core i5 and i7 processors. It obtains 16 GB random access memory (DDR RAM) 2133 MHz, till 1 TB on four SSD with PCIe interface. Also it has USB port of C Type and four Harman Kardon dynamics. It is also necessary to mention that the laptop has got the scanner of fingerprints that is supported with Windows Hello and uses an active cooling system. Wireless productivity can last for 9 hours. Moreover, ASUS ZenBook 3 sustains quick charging technology. It means that 60 per cent of battery can be renovated just in 49 minutes. ASUS ZenBook 3 is available in three colors that are blue, grey and pink gold. Ultrabook is restricted by the corpus of aluminium alloy that is 50 per cent more reliable than a standard alloy that is used for making laptops. Core m processors do not need cooling fan, do they? Then why does ASUS ZenBook 3 have one? The fact that Core m processor do not need to have cooling fan is really true, because it makes the computer cool by itself. But ASUS ZenBook has cooling fan to make it cool inside as it obtains faster internals. And there is the fact that is also rather notable for this device that is the cooling fan in this unltrabook is just 3 millimeters thick that is the smallest cooling fan ever. All mentioned above parameters are really great and unbelievable. It is a new and unexpected step especially when speaking about ASUS Company when everyone waits for some new and mind blowing ideas from Apple ASUS makes the laptop of breathtaking features to astonish the whole world. This fact shows us that there is space for other companies not to be out of line and create new devices that can be better than previous ones. But there is one ‘but’… ASUS ZenBook 3 still has Windows PC. It seems to be so expected; nothing out of the common happened. Nevertheless ASUS made, so to say, a new version of Windows 10 PC. ASUS ZenBook 3 provides a great variety of advantages that can be used by working with this device at home and from every spot of the Earth. 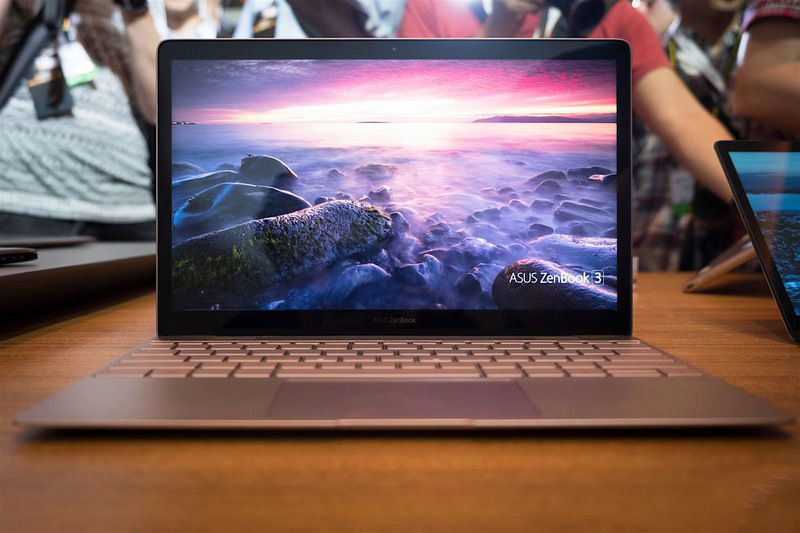 Is there anything similar between ASUS ZenBook 3 and Apple’s MacBook? Well, unfortunately, ASUS made the same mistake as Apple had done before. It presents just one USB port of C Type. 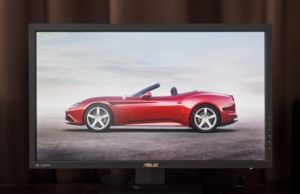 ASUS ZenBook 3 is a new device in computerized world and it appears worthy of the attention that is paid to. It is a new level of innovations in our world, and it is a great example to follow for other companies that want to impress their customers and attract new ones. ASUS ZenBook 3 is the thinnest, the lightest laptop. It is faster than Apple’s MacBook. Its display is larger than the display that is presented by the same MacBook. It has quick charging technology and it is made of aluminium alloy that is 50 per cent more reliable than other alloys for laptops. It has Windows 10 PC with its advantages and only one USB-C port. ASUS ZenBook 3 is a new, smart and thoughtfully made device to use in our everyday life.